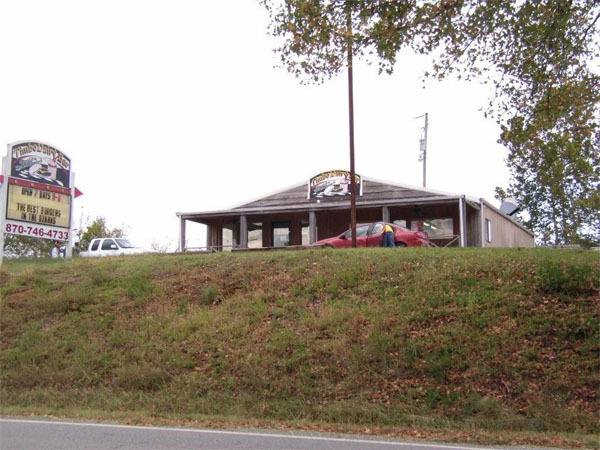 If you’re hungry for homestyle country cooking, the winding road can supply some of the best at the Leslie Cafe from a full service breakfast, lunch, and dinner a la carte menu. Also in Leslie, the Skylark Café features signature dishes with Dottie’s “to die for” desserts, while Carl’s Place serves up BBQ the locals swear by. The Serenity Farm old-world sourdough brick oven bakery has fresh bread and other baked goods at its downtown Leslie location, plus a second location in a historic 100 year old Sears Kit house on Highway 65 serves coffee and other beverages as well as breads, delicious fresh pastries, and light meals. On the run with just a minute to spare? Try Misty’s on Highway 65 for quick breakfast selections, crispy chicken tenders, or heavenly fried pies made right on the spot. People come from near and far to eat at the Timbo Dairy Bar, open 7 days a week, 11 am to 8 pm. A recent state newspaper write-up raved about their burgers and catfish, and this was before they added their tantalizing steaks. Billed as the Best Steakhouse in the Ozarks, Timbo Dairy Bar also serves burgers and catfish. Don’t leave without experiencing their superb banana splits! What’s cookin’ at Fox? At the Fox Country Store proprietor and cook Tangie Callahan serves up something different every day for her plate lunch special—fried chicken, pork chops, county-fried steak, and all the fixins. You can also get a burger, pizza, or sandwich if that’s your pleasure. Sit at the “round table” and fill-up on food and the local gossip! Open Mon-Fri from 7am-6pm. Sat 8am-5pm. Closed on Sunday to give Tangie a little rest. At the Mona Lisa Café, “it's Thanksgiving every day” says proprietor and cook Lisa Hackett. She serves up a bounteous lunch buffet including mouth watering desserts Tuesday-Friday. Her country-style breakfast includes homemade biscuits and gravy. Hours are 7am-3:30pm Tues-Fri and 9am-3:30pm on Saturday. Lisa also caters on or off location. She buys as many locally grown ingredients as possible to make her delicious homemade fare. Just across the river, Red River Convenience Store offers fried foods, sandwiches, and a seating area for a quick meal. Hungry from chasing that trophy-sized trout? Chow down at the Norfork Café. We hear that the bacon cheeseburger is excellent , the lunch specials are great, and they have the best home made biscuits and gravy ever. Winding up 14 through Lead Hill, you can choose between full service dining at the Lead Hill Café, a quick sandwich at the Subway Shop, or delicious pizza, hot wings and cheese sticks at Cotton’s Pizza To Go. How about a meal at an old-fashioned diner? Serving up the usual fare of burgers, dogs, and chips as well as daily plate lunch specials, Shirley’s Diner is open all year round with excellent food and friendly service. Seasonally, The Cove provides a full service menu. 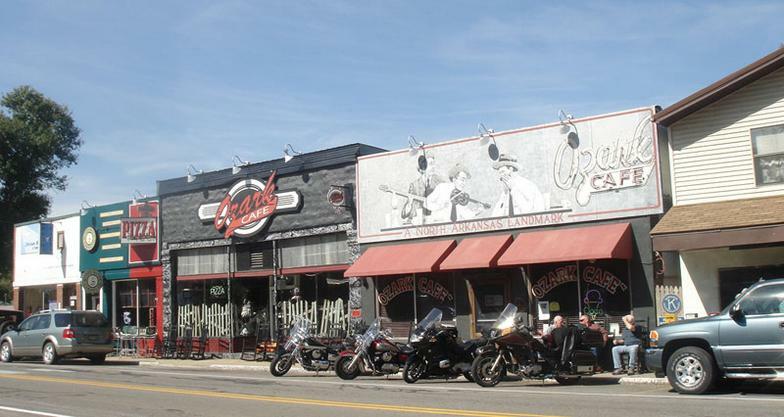 As the name implies, Pizza and Ice Cream Land serves pizza and ice cream, but on Tuesday nights the food is accompanied by live country and gospel music. Local’s Choice in Alpena is the Top Rock Drive-In, just at the edge of town. There’s also the full-service Alpena Pass Café and the Subway Sandwich Shop near the Red-X at the junction of Highways 62 and 412. Jasper’s dining selections range from fine dining to take-out sandwich places. 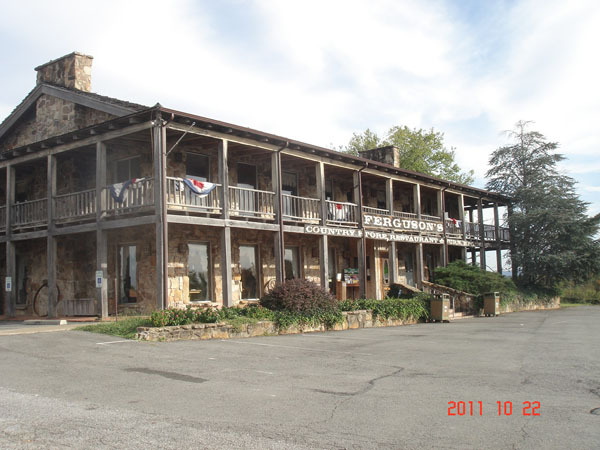 The Cliff House Inn Restaurant, just down Highway 7, offers a full a la carte menu. The Ozark Café on the square in Jasper has a full menu plus buffet selections—sit in their rocking chairs and watch the world go while you’re waiting for a table on extra busy days. The Boardwalk Café at Arkansas House offers “locally grown farm fresh food.” The Hub at Marble Falls will fix you “the best steak you ever ate.” Dine in or have an impromptu picnic on the banks of the Little Buffalo River when you pick up a sandwich from the Subway Sandwich Shop or the Blue Moon Bakery and Deli. Sharon Kay’s in the southern edge of Jasper is a classic mom and pop diner. 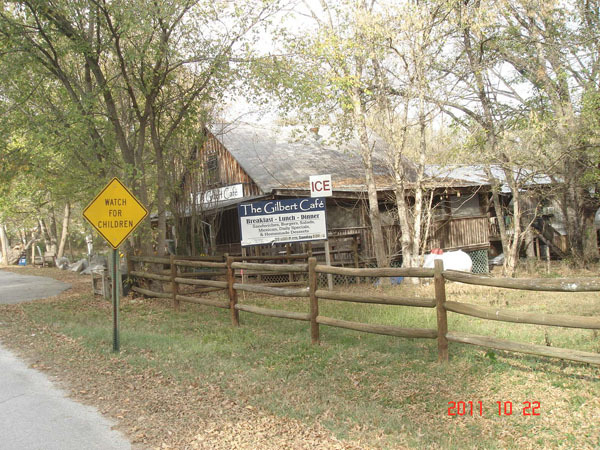 If you’ve worked up an appetite at the Valley Springs Fun Park and walking trail, you can fill up on the HUGE buffet at Cadron Creek Catfish House Too just north of town. Open Thursday, Friday, and Saturday evenings and Sunday for lunch. 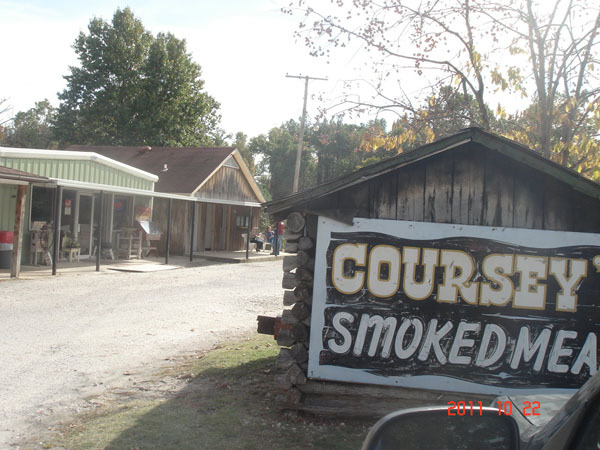 You have to try the smoked meats at Coursey’s or Big Springs Restaurant in St. Joe. Coursey’s has a 70-year-old tradition of smoking only the best Petit Jean hams, turkey, bacon, and cheeses. You can buy them sliced or order a sandwich for your picnic, hike, or canoe trip on the nearby Buffalo River. 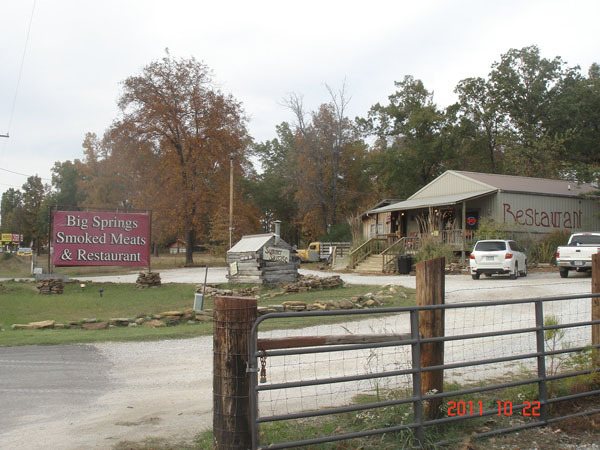 Big Springs serves barbeque and other hot dishes from a full menu, but you can get sliced smoked meats there as well. 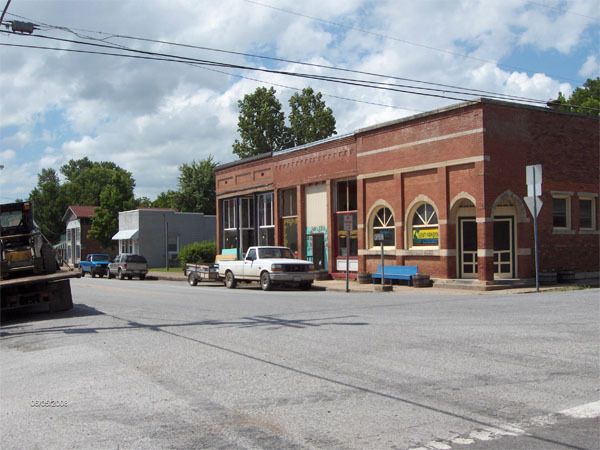 Other options are Ferguson’s, a full-service restaurant with a gift store attached, and the Gilbert café, on the banks of the Buffalo in “the coolest little town in Arkansas.” All are worth a destination visit or a stop on your way to somewhere else.